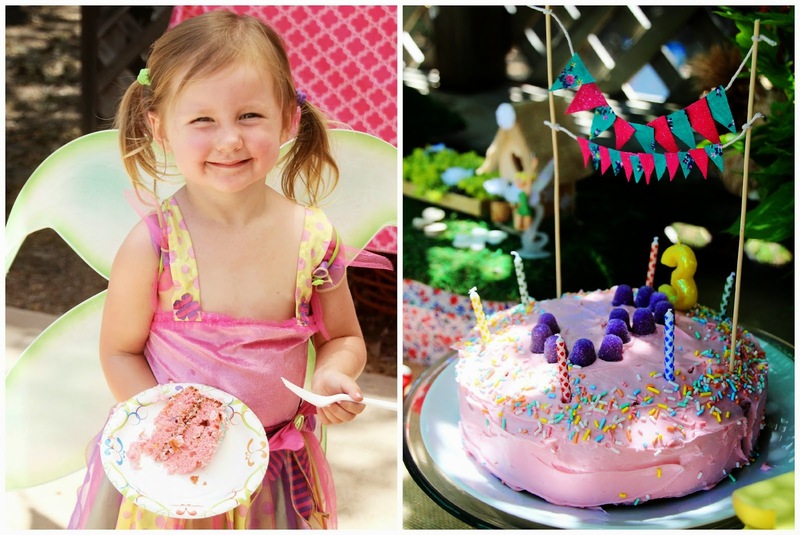 Stop #3 of this series brings us to Gigi's 3rd birthday! 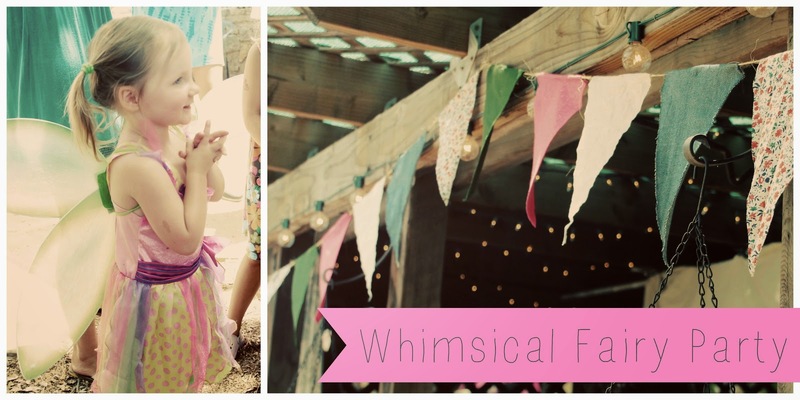 This so far has been my favorite of the 4, because I love decorating with whimsical inspiration and really diving in and being girly girly!! 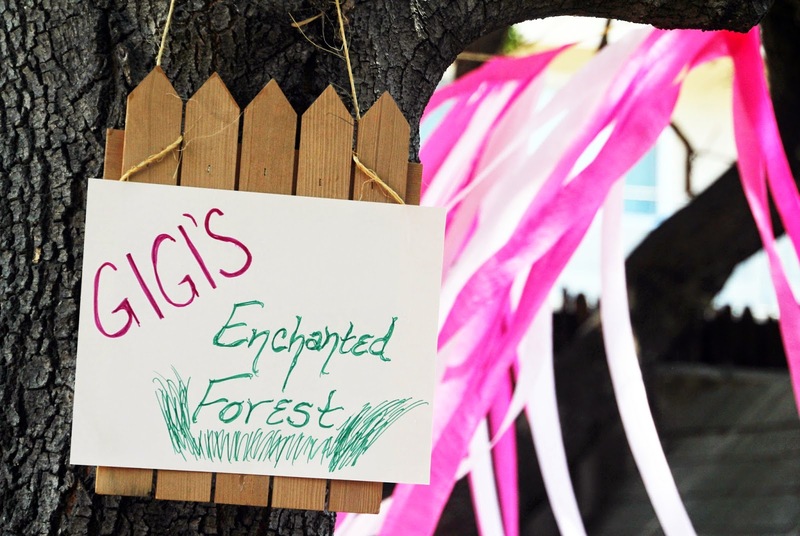 Welcome to Gigi's Enchanted Forest! 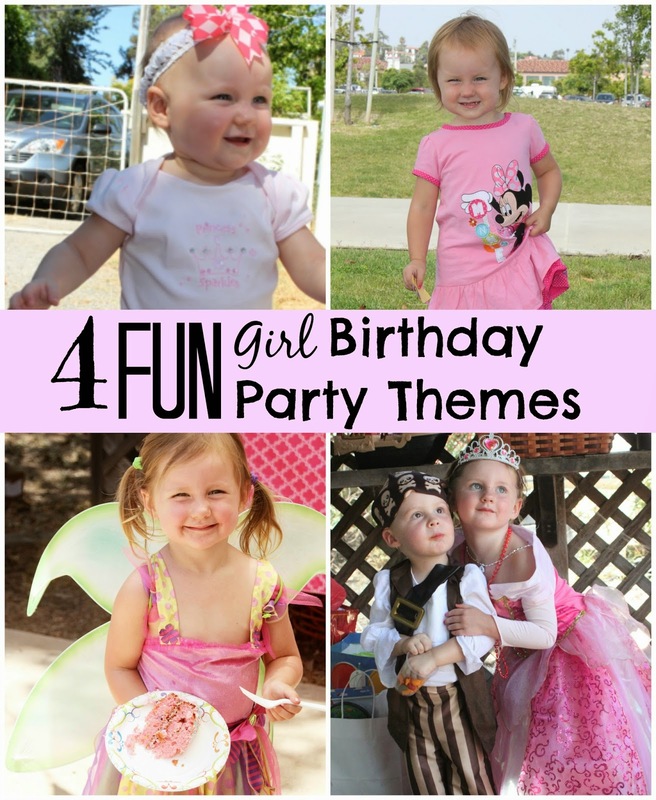 I hope you enjoy all the fun party inspiration! 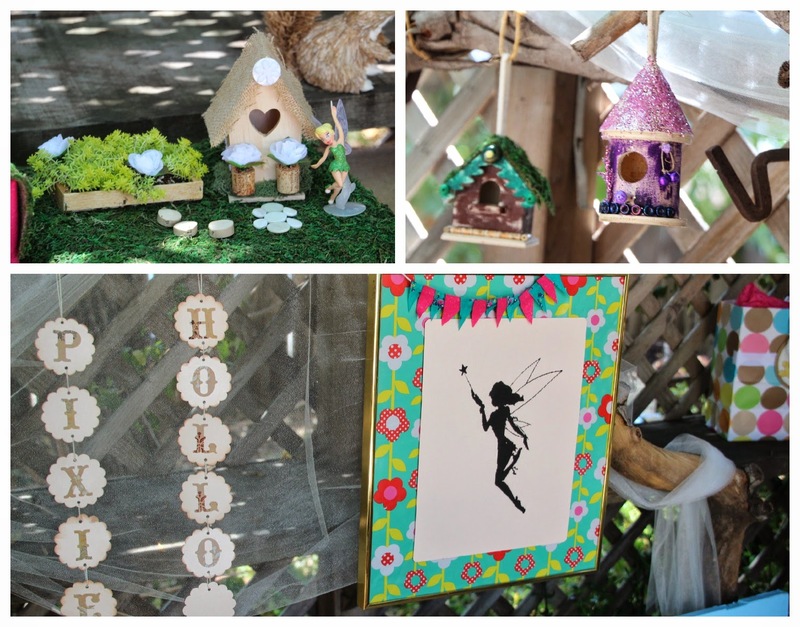 Created Pixie Hollow out of a dead tree in our backyard and many handmade fairy houses. 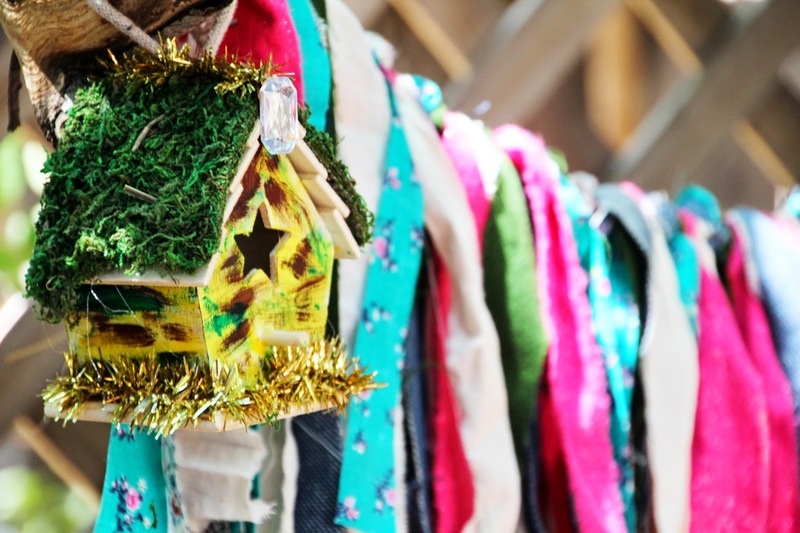 The fairy houses were made out of $1 bird houses you can find at your local craft store and all the fun little details were found throughout the house and things I owned....you have to start thinking like a fairy! 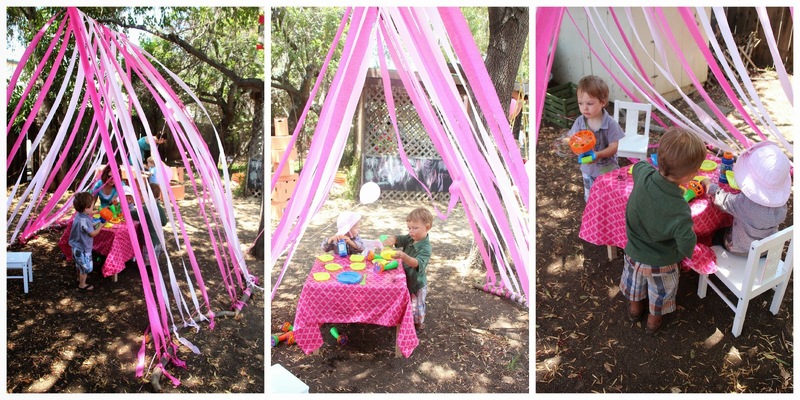 Magical Bubble House: Made from crepe paper and held down with heavy sticks! The kids loved this place! 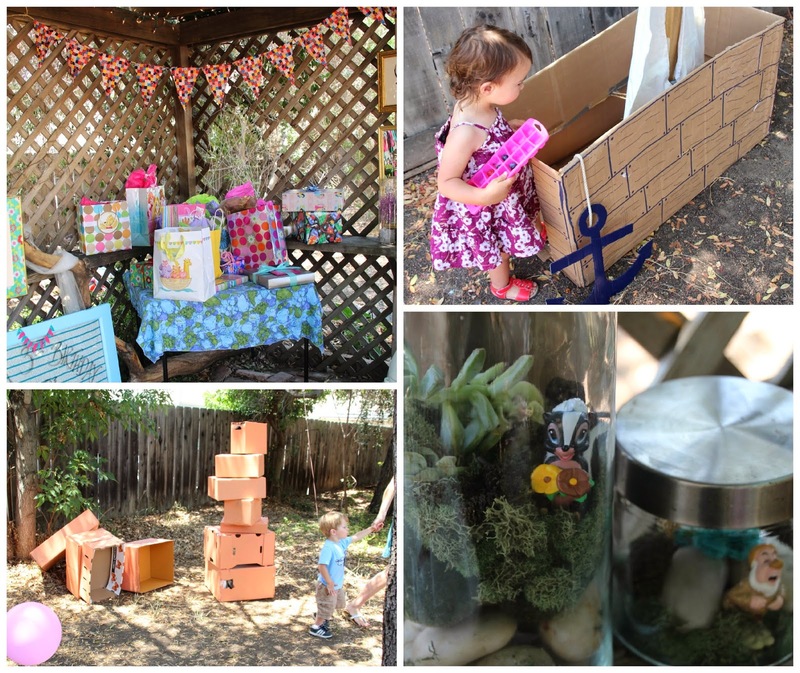 Dress Up and encouraged Imaginary Play! The boat and life size building blocks are made out of cardboard boxes! 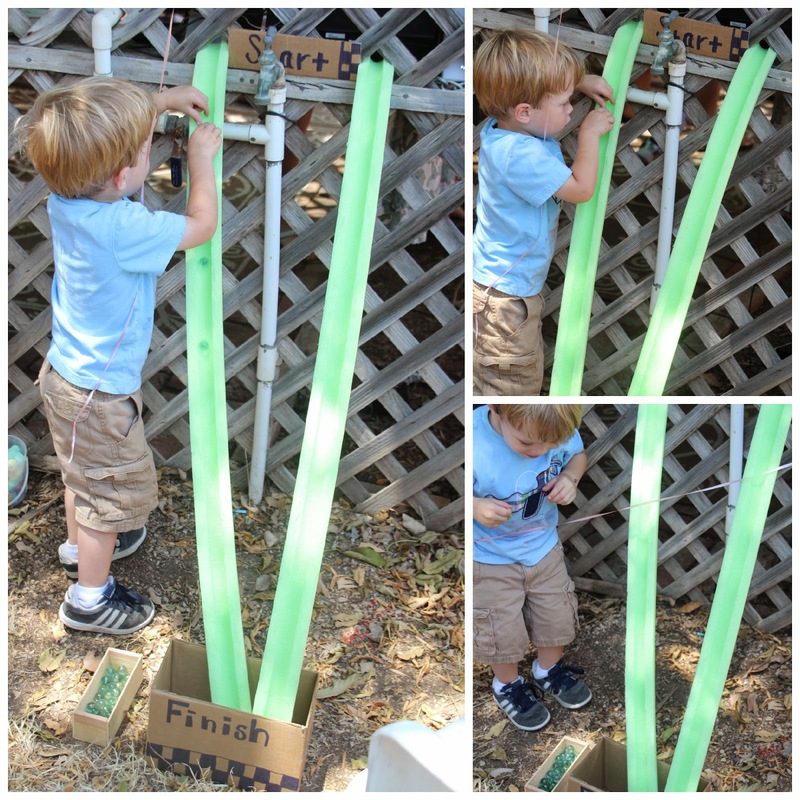 Marble Race Track: Pool Noodle cut in half and marbles! 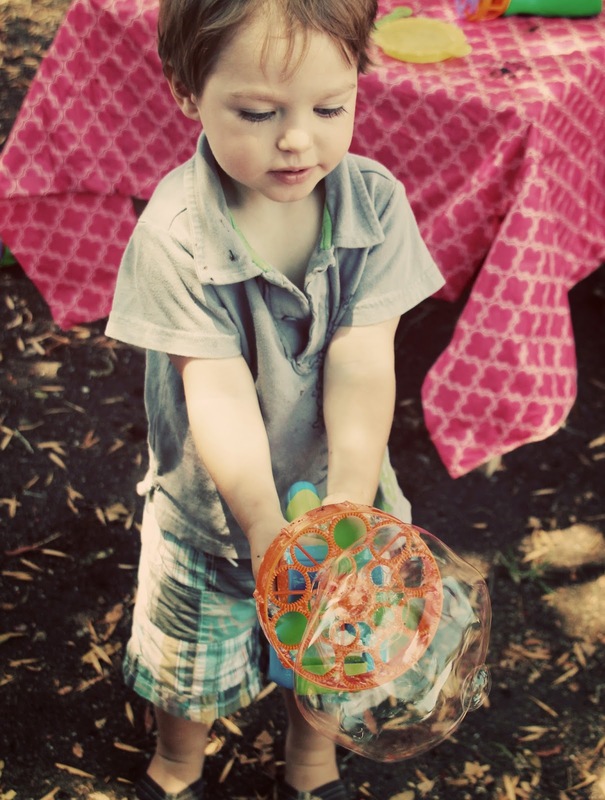 This was a great tactile, easy activity for young toddlers. 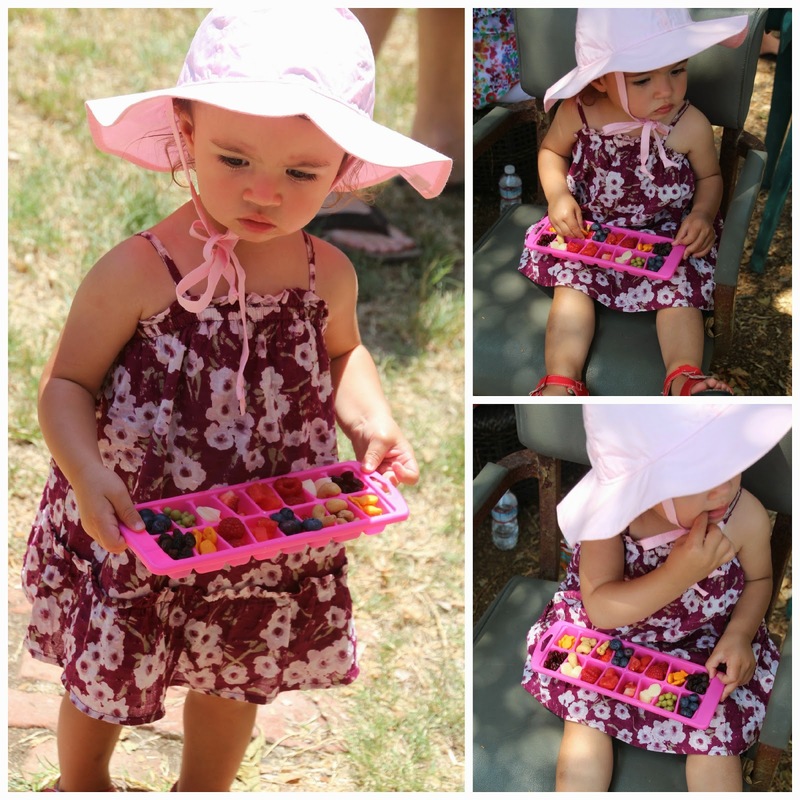 Perfect Toddler Lunch: All yummy finger licking goodies served in a colorful ice tray. HUGE HIT...with kids and parents!! Delectable Dessert Table!! 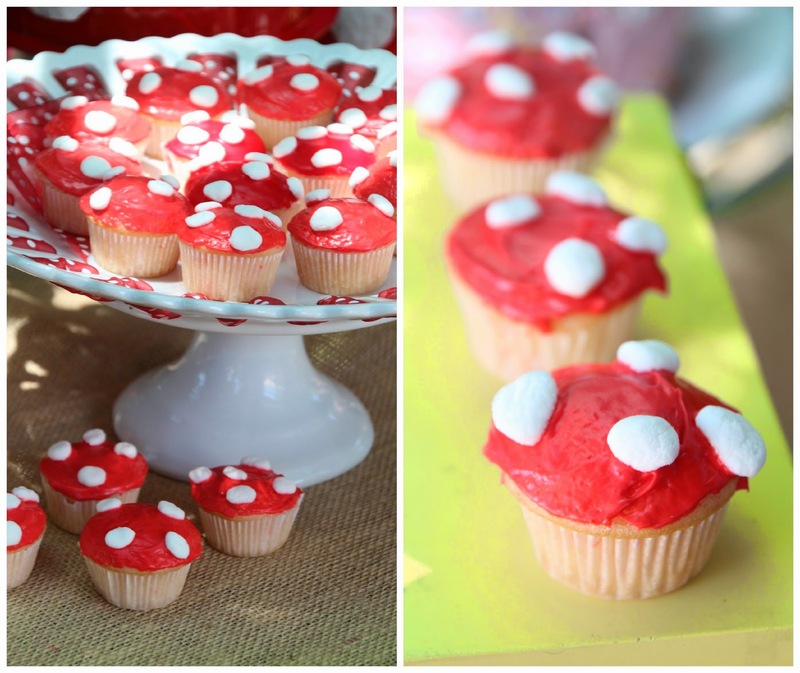 Toadstool cupcakes and Fairy dew drop cookies (meringue cookies) and of course "The Cake"
Look at that sweet fairy. Happy Girl! 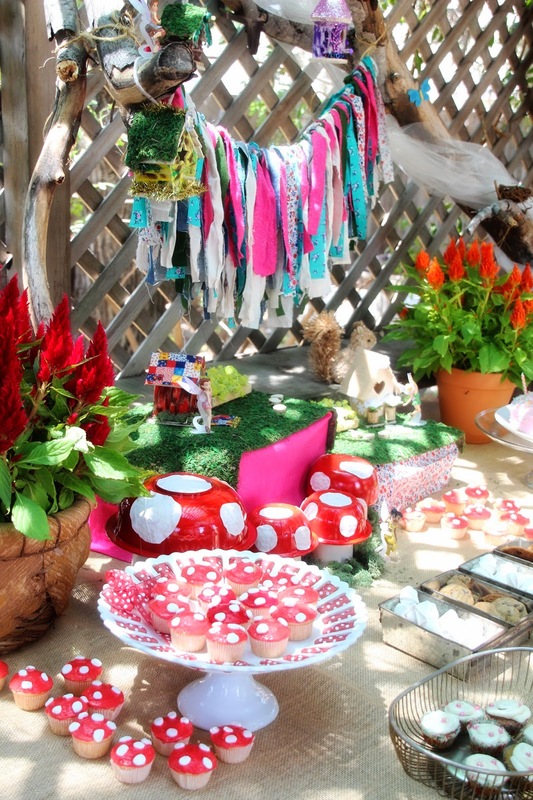 My sweet friend Morgan, over at Pepper Design Blog also featured this party, please head on over there and see what she liked about this fun day! Click HERE. 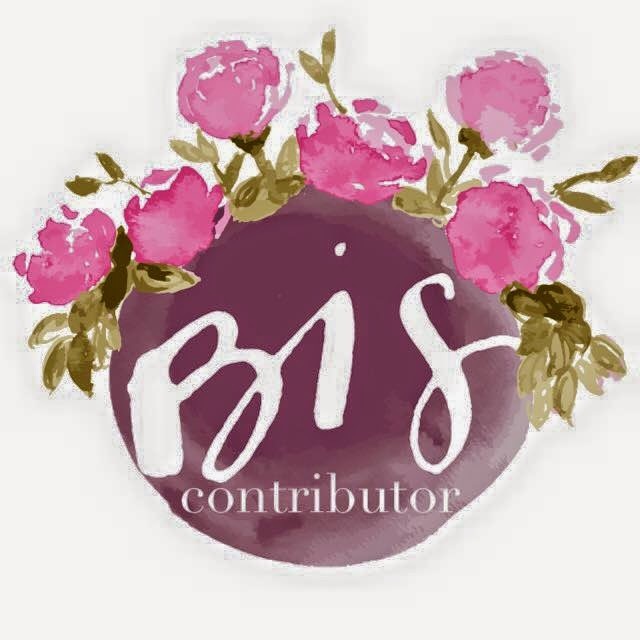 Also thank you to Morgan for taking most of these beautiful pictures!......and Morgan is interviewing me today on her blog, come on over and say hi! Lunch in an ice cube tray! I love it! 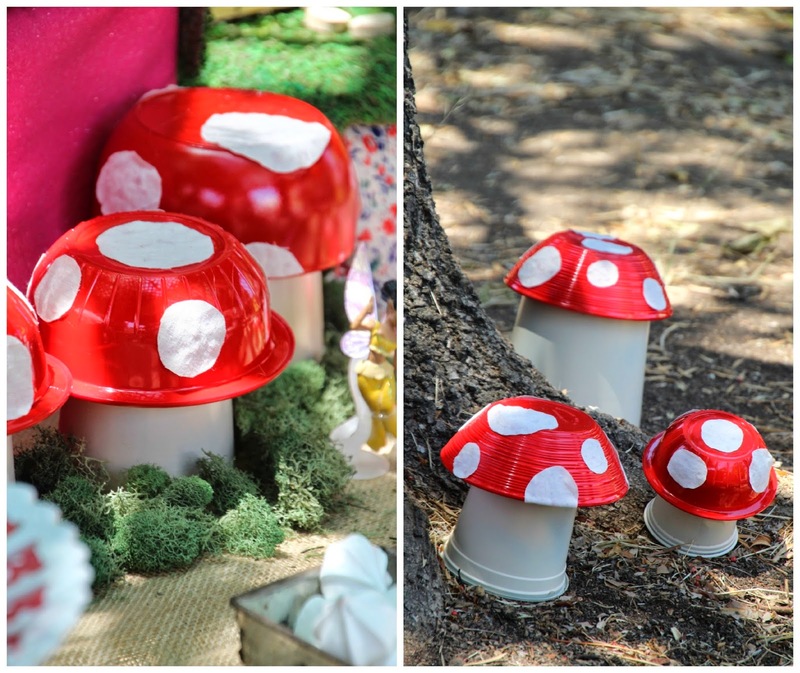 What a fun idea for little ones! I am going to try to remember that. 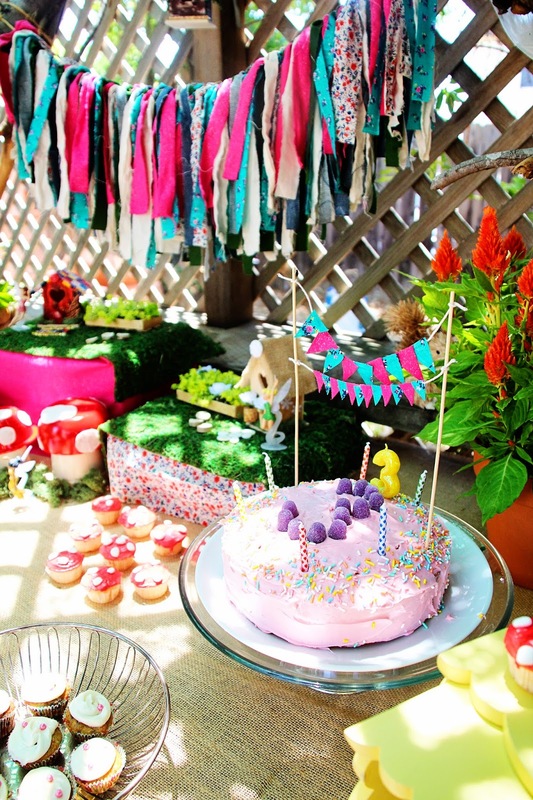 You certainly know how to throw a party! Thanks Rita! I seriously recommend the ice cube tray lunch, it was such a big hit! I don't know what my favorite part is??? The ice cube tray is absolute genius! and that bubble house.. love it! So adorable!!!! I wish my girls would choose something like this, but I think they're outgrowing fairies--way too fast! This is so amazingly cute, Cas! It is difficult to pick out my favorite detail. ;) I do LOVE the lunch in the ice cube trays though. Definitely going to try that with my little one soon!